Description: Why? I started business at a very young age I was 21 when I bought my first business! Mum and dad helped with a large sum of money and security of their house for a loan. Fast forward 10 years it has all come crashing down. We have been propping the business up for far too long! 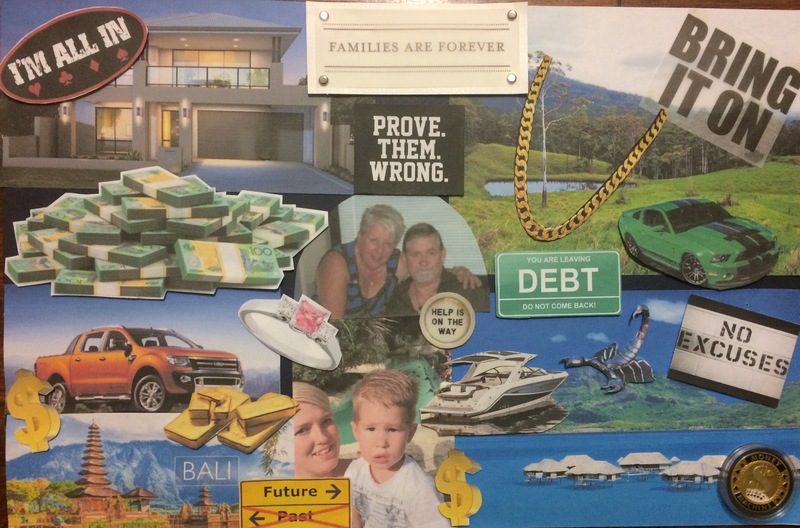 I am in debt for over $500k I have lost mine and my wife’s home and no means to pay mum and dad back that should be retiring and enjoying life. So I need this more than anything to work so I can get my life back on track and foremost get mum and dad the retirement they deserve. My pride has been dealt a severe blow but my wife keeps on supporting me in everything I do. I couldn’t ask for a better friend than that. My wife has wanted nothing more than to have a family but when we had tried for 3 years I had testing done and found out it was very unlikely we could conceive naturally. So we pumped $50k into ivf over the next 2 years and all attempts failed. So we gave up and went on holiday. When we returned a miracle had happened we conceived naturally and I now have a son! So I want nothing more now to get a family home for my family as we are renting and having to move every year almost. So I would like to settle somewhere we can call home.